Regina Mayer, a 15-year-old girl from Laufen, Southern Germany, rides her pet cow Luna as if she were a well-trained show horse. 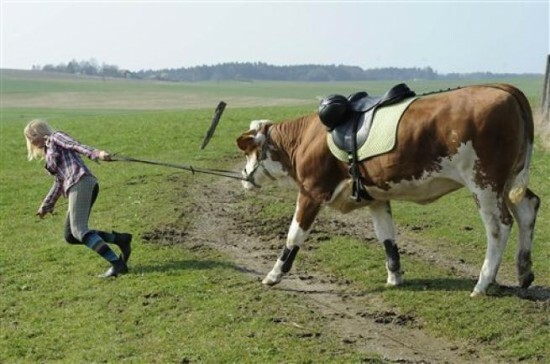 The young girl always wanted her own horse, but her parents kept saying “no”, and since she had a stable full of cows at her disposal, Regina decided she was going to try and ride one. After hundreds of hours of training and many baskets of treats, she managed to teach Luna to jump over home-made hurdles, just like a show horse. Regina remembers that she knew Luna was special ever since she was born, three years ago. The calf came right up to her, she wasn’t shy like most other young cattle, and they developed a special friendship ever since. 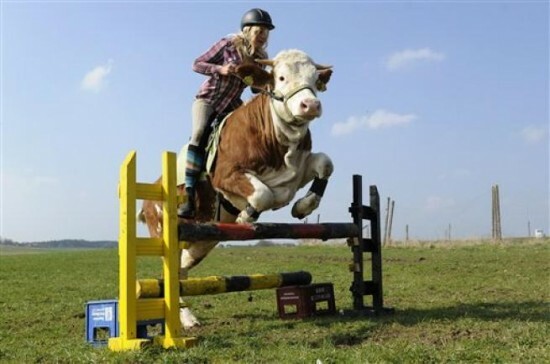 The 15-year-old began riding Luna about six months ago and she even contacted a riding school in Switzerland, and received some tips on how to train and equip the bovine in a way similar to a show horse. The two went for long rides around the countryside of Southern Germany and Luna become more and more comfortable, especially since her friend Regina made sure to give her delicious carrots during each outing. Young Regina Mayer says Luna is definitely very clever, she knows what she can do and what she can’t. 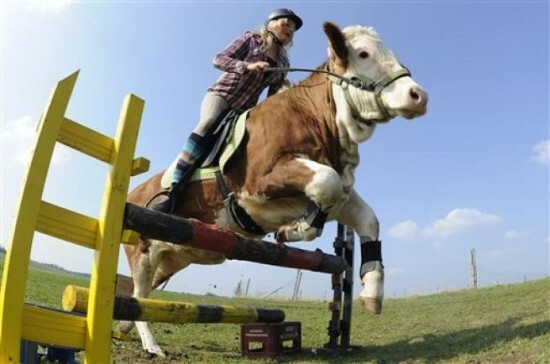 Right now she’s able to jump over a-meter-high hurdles, but the rider is confident this year they will reach 1.20 meters. She admits people always look at her funny when they see her riding a cow, but she wouldn’t dream of trading Luna for a horse. 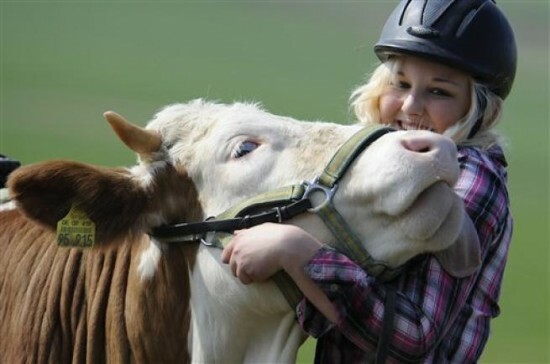 The trained cow has become her best friend, following her around wherever she goes, something a horse would never do.